Betsy Warland is offering a one-day community workshop via The Writer’s Studio at SFU Continuing Studies. “Restarting the Stalled Story” will take place on Sunday, Feb 24, 2019 from 10:00 a.m. to 1 p.m. There are some projects that are hard to complete. We’ll either stop writing before completing the first draft, or we’ll finish the draft and not have the momentum to work on the next, instead placing it in our desk drawer. In this workshop we will investigate and identify what type of stall is happening in an excerpt from your writing; what message(s) the stall is trying to give you; how to use this information to propel yourself and your piece in the direction it is eager to go in; or propel you into a new piece of writing that has more vitality. Bring up to 5 source pages from a longer piece or a total of 5 pages of shorter pieces. Betsy Warland has published 12 books of poetry, creative nonfiction, and lyric prose including her best-selling 2010 book of essays on writing, Breathing the Page—Reading the Act of Writing. 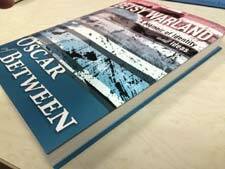 In 2013, Warland created a new publishing template: an interactive salon that features excerpts from her manuscript Oscar of Between, guest writers’ and artists’ work and lively comments from salon readers. In March of 2016, Oscar of Between—A Memoir of Identity and Ideas launched Caitlin Press’s new imprint, Dagger Editions. Warland has been teaching creative writing workshops and courses for the past 35 years. Designer and director of The Writer’s Studio at Simon Fraser from 2001-2012, she remains on the TWS Vancouver teaching faculty as the Poetry and Lyric Prose mentor. 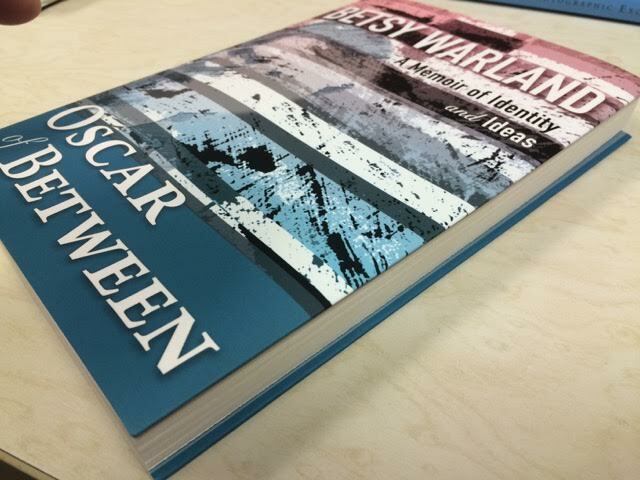 If you’re enjoying the excerpts in Oscar's Salon, buy Oscar of Between and I’ll sign the copy with a personal message.